Asia is an incredibly diverse continent with fascinating histories, mouthwatering cuisine, and picturesque landscapes. 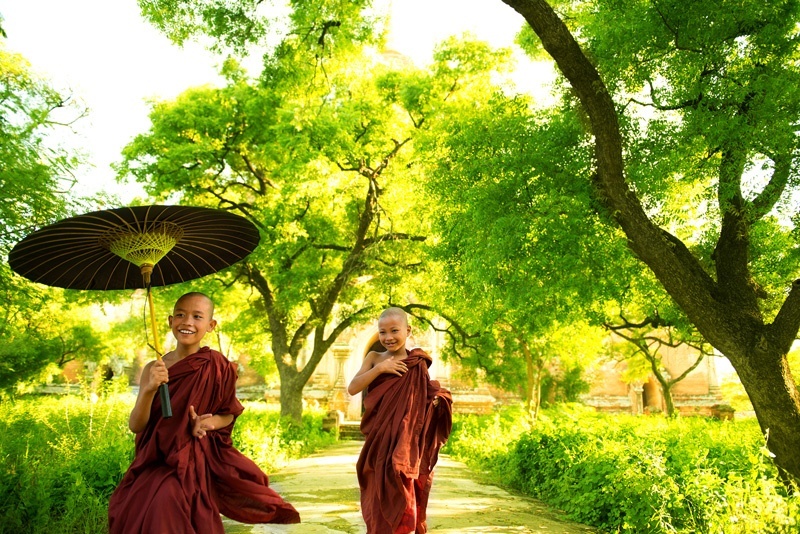 Myanmar is the perfect destination to experience all these factors and explore an unforgettable country still rather untouched by more modern western influences. Most first time trips to Myanmar include time in the largest city and commercial center Yangon, navigating the waters of Inle Lake, and taking in the wonders of Bagan's Buddhist monuments. We recommend at least 7-10 days for a trip encompassing several popular areas in Myanmar, but if you have more time to travel, you may want to consider a few alternative options like trekking with friendly elephants in Kalaw, kayaking in Kayin State, traveling overland to Ngapali Beach, bicycling through Pindaya, or delving into the mythology in Mrauk U.
Yangon was the country's capital till 2006, and is still widely considered to be the most modern city in the country nearly all of the higher education institutions, and artistic and political movements focused there. Downtown is a beautiful mixture of decaying colonial architecture, Buddhist pagodas, and the city's residential zones creeping in around the edges. It is a bustling area with food carts, markets, restaurants, and shops. 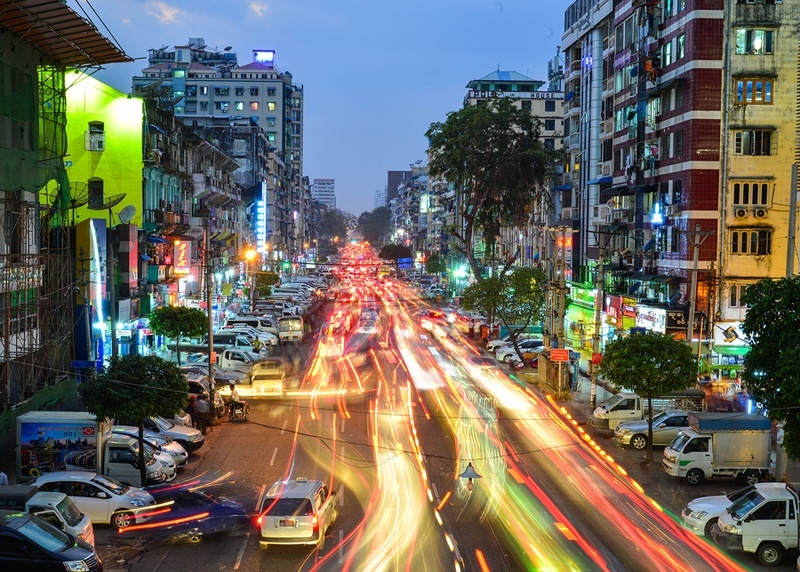 Despite being the largest city in the country, Yangon has a relaxed feel and is a safe destination to explore for all Myanmar travel and tours. Inle Lake offers gorgeous views in traditionally inspired accommodations both on and off the water. Here you can glide by the floating gardens constructed on water hyacinth bound soil, visit resident monks, or tour the rotating market to visit with local tribes and ethnic groups gathering to sell their products. Indein Village is an adventurous day trip to see the Shwe Inn Thein pagodas, or we can arrange for you to bicycle around and stop at villages along the lake. 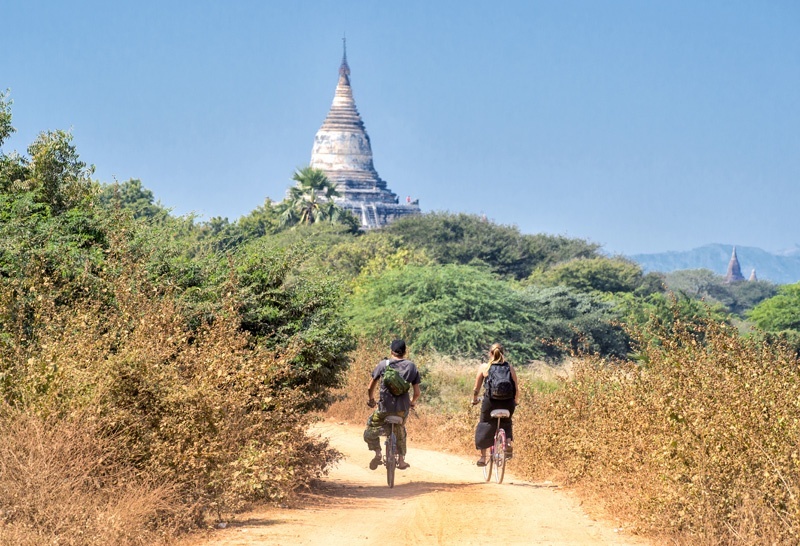 Bagan's thousands of Buddhist monuments of the Archaeological Area range from ornate temples to simple stone and brick stupas dotting the countryside. You can tour the desert town by oxcart, private vehicle, or bicycle making sure to stop to climb the heights for phenomenal views. Temples and pagodas house holy sites, statues, paintings, and are a living testament to the faith and devotion of past monarchs of the Kingdom of Pagan to Theravada Buddhism. 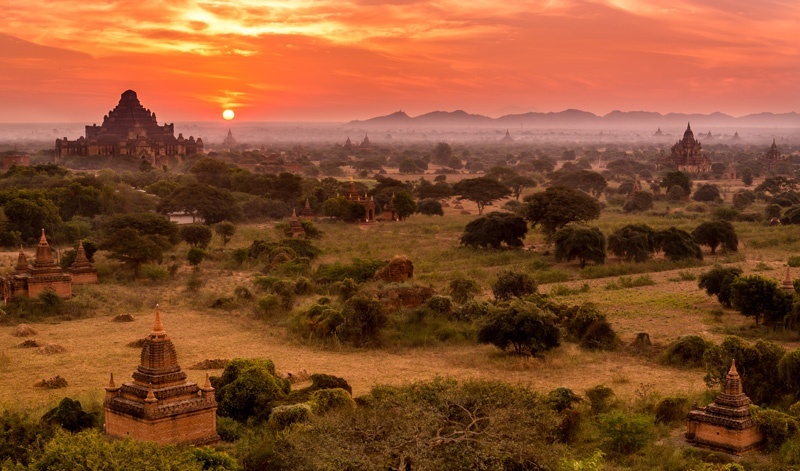 The Ayeyarwady River and monument speckled plains of Bagan are arguably best viewed from above, so if you're visiting in the dry season, an early morning hot air balloon ride is a once in a lifetime experience! Shwedagon Pagoda is easily the most famous Buddhist monument in the former capital city. It has a fascinating history dating back (as legend says) over 2600 years. The golden plated stupa shines brilliantly from donations that began in the 15th century and continue to this day. It has survived numerous earthquakes and been restored each time, occasionally increasing the stupas height to make the monument even more grand. 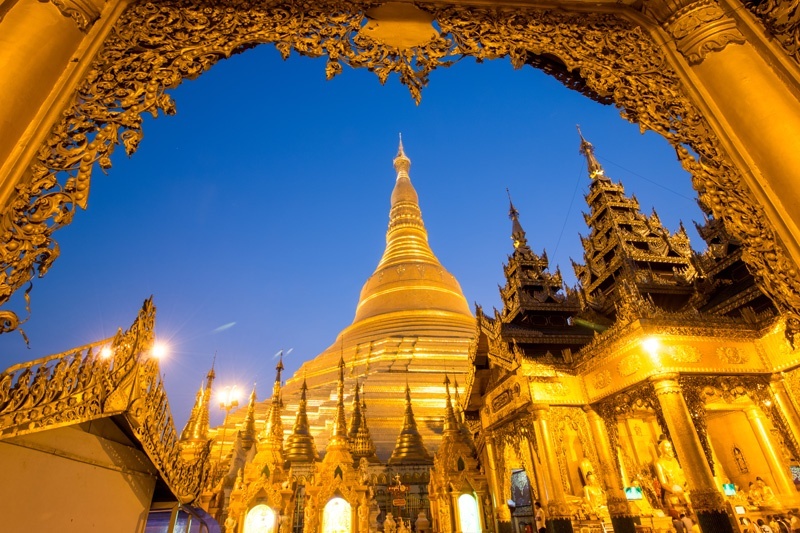 If you have an interest in Buddhism, architecture, or Myanmar culture on your Myanmar tour, we highly recommend taking a half day Spiritual Shwedagon Pagoda tour to gain deeper insight. You will learn about the nats (Myanmar spirits), lives of the monks, fortune telling, meditation, and more. Be sure to take note of the Burmese zodiac representative statues within the Pagoda grounds. These are based on the day of the week you were born, so you can visit your animal and perhaps take a moment to meditate. For most travelers, suntan lotion is a given when planning a visit to a tropical destination. If you forgot to pack this necessity, or would like to try a natural alternative, the Burmese have a wonderful traditional product you can to try. Thanaka is a light yellow-white paste made by grinding the bark of a thanaka tree on a kyauk pyin (special stone slab with a channel to catch the paste) with a bit of water. This paste is most often applied to the face and arms, though can be used on any area of the body. You can find thanaka cream in stores, but the natural thanaka has a much fresher scent and no addtitives. It is can sometimes be seen applied in patterns on the face, and in addition to blocking the sun's damaging rays, is believed to have other health benefits like maintaining youthful skin and highlighting your natural beauty. The cream also has anti-fungal properties, and a soothing and cooling affect on the skin. Longyi (6.5'x2.5 'sheets of cloth worn on the lower body) are a distinct and versatile piece of Burmese attire, which you will see throughout your travels. These have been a popular article of clothing since colonial times, preceded by similar styles. 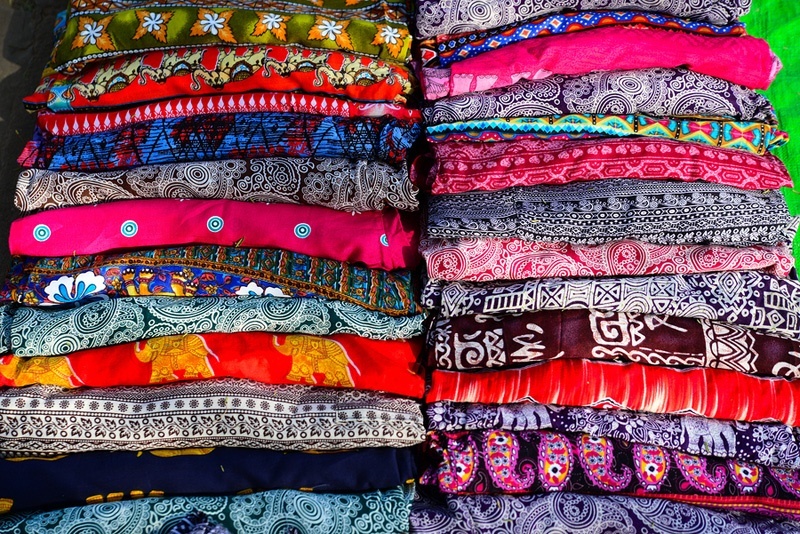 Check out local markets and Yangon's Bogyoke Aung San Market (old Scott's Market) for some beautifully woven patterns and colors from various regions and ethnic groups throughout the country. Take notice of the way the patterns, lengths, hues, and fabrics vary in different states. Be sure to ask your guides for the best method of tying and knotting your longyi if you wish to wear your own at any point during your trip! 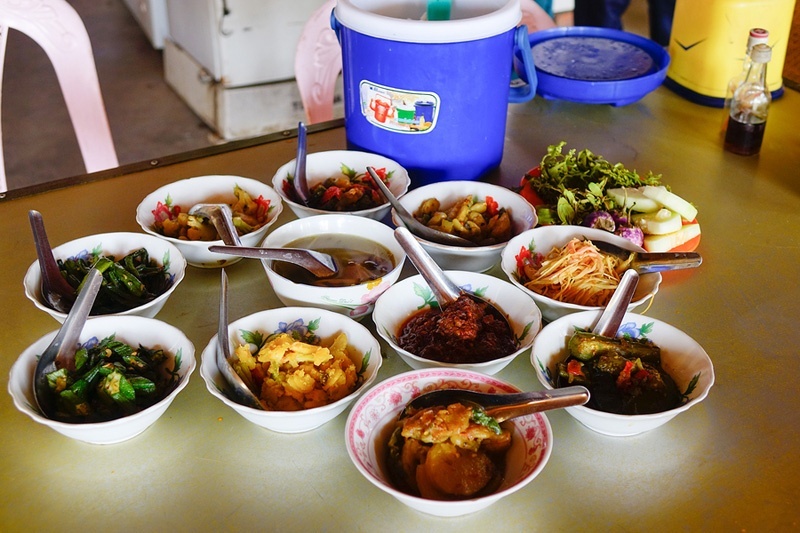 Myanmar tours offer cuisine very unique within Asia, while still demonstrating strong influences from neighboring cultures' recipes, styles, and techniques. You'll find curries, dosa, noodles, soups, tofu, and other dishes all with special Burmese flavor profiles, elements, and preparation. Thoke (salad) are a standout making use of the plentiful vegetables, nuts, and other delicious regional ingredients. The specific recipes for thoke will vary depending on the chef, the location, and the season, but a few common ingredients you may find are turmeric, sesame, garlic, ginger, fish sauce, peanuts, onions, and chilis. Kha yan chin thi thoke (pennywort salad), lahpet thoke (tea leaf salad), and Kha yan chin thi thoke (tomato salad) are all excellent and well-worth searching out at street food stalls and restaurants. For a refreshing break during a day of exploration, you can find sugarcane grinders selling cups of fresh squeezed cane juice. If you're traveling during the hot season, this is a must have to replenish electrolytes and also tastes great with a twist of lime. It's difficult to select just a few foods to highlight because there are so many amazing choices. Ask your guides about their favorite dishes, take a cooking class, and visit markets and food stalls to delve more deeply into the delectable options. 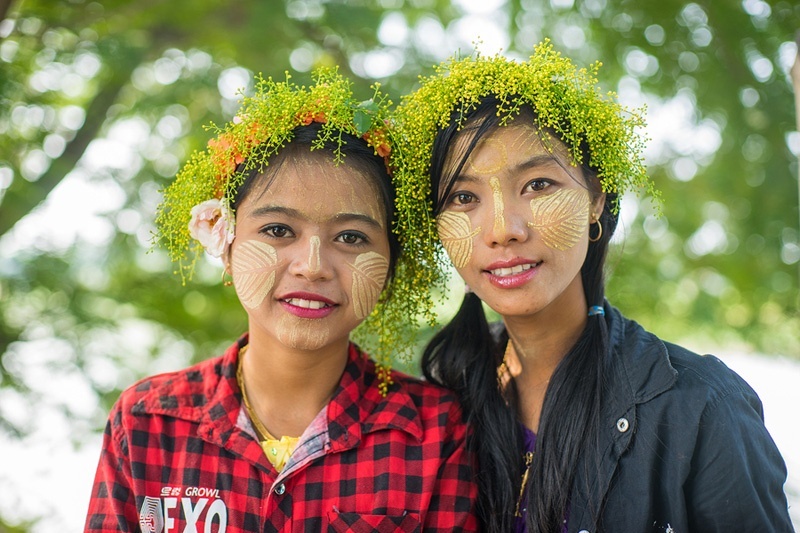 Interested in experiencing the warm culture and untouched landscapes of Myanmar? Start planning with a Global Basecamps expert travel specialist today.